From goodreads: This is the second book in the November Blue series. I have to touch on Ten Days of Perfect before I get into Reckless Abandon. I had some concerns with the first book but not many. My biggest concern about the book was the insta-love between November and Bo. I always struggle with love at first sight because somehow it just doesn’t ring true. The other issue I had with it was the “big reveal”. I waited almost the entire book to find out what the big secret was and when I did, I felt disappointed…it felt anticlimactic. With that being said, the writing is absolutely stellar. It almost felt poetic and that helped me overlook some of the issues I had with the overall story. 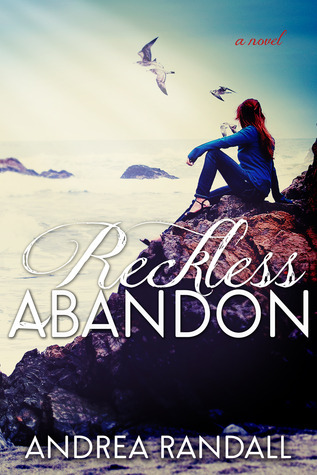 Also, the characters were believable and likeable and I found myself looking forward to what would happen next which brings me to Reckless Abandon! Bo is still perfect. He suffered in book 2 that will make your heart-break a thousand times over. What he goes through, no one should ever go through. Like EVER. Those moments that are filled with pain left me feeling and thinking, what just happened? I even turned back a page or two to make sure I didn’t misread anything. Nope. Andrea Randall knew exactly what she was doing and she did it brilliantly because you won’t see it coming from a mile away. It’s all about the element of surprise and that it did…it didn’t surprise me, it floored me! It will make you love Bo even more!! I’m not sure why I waited so long to read Ten Days of Perfect but the timing couldn’t have been better because I got to read both books back to back. If you are looking for a new series to read with flawless writing, look no further and you can thank me later. Yes, they are that good! Enter for a chance to win a signed copy of Ten Days of Perfect, Reckless Abandon and In the Stillness by clicking the image below! Good luck!